Over the past year we’ve covered everything from the Ford Transit Camper right the way through to the mighty EarthRoamer. We’ve drooled over many a retro Volkswagen Bus and chewed the fat over Truck Campers. But one thing that we haven’t covered in great detail is the concept of a tiny house, one of the giants of the Alternative Living movement. That’s all about to change! 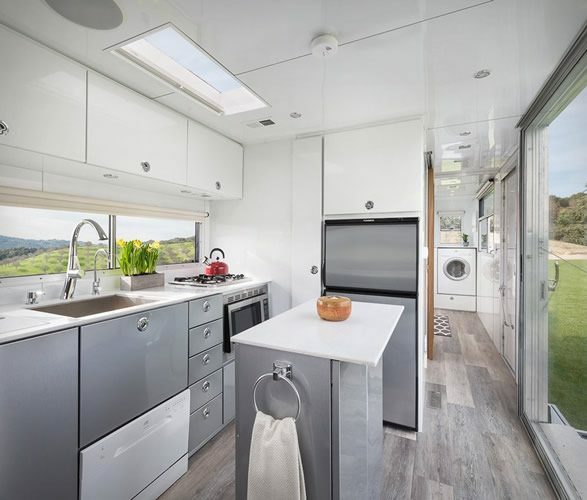 Living in a van is one thing, but if you’re fed up of standard UK Vanlife then you might want to consider the Living Vehicle from Hoffman. 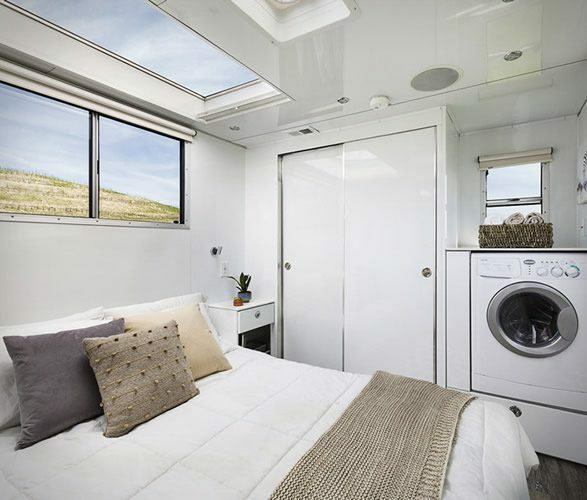 A true tiny house on wheels, the living vehicle takes off grid camping to to a whole new level by taking everything that you had in your old house and sticking it in a towable apartment that makes the airstream trailer look like a wendy house. Tell Us More About This Tiny House! 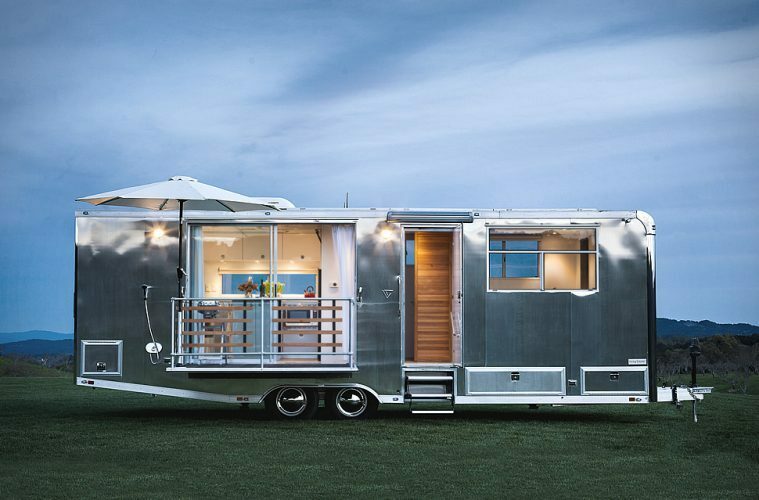 The Living Vehicle is the creation of Matthew and Joanna Hofmann, two travel enthusiasts who spent years travelling in mobile spaces. 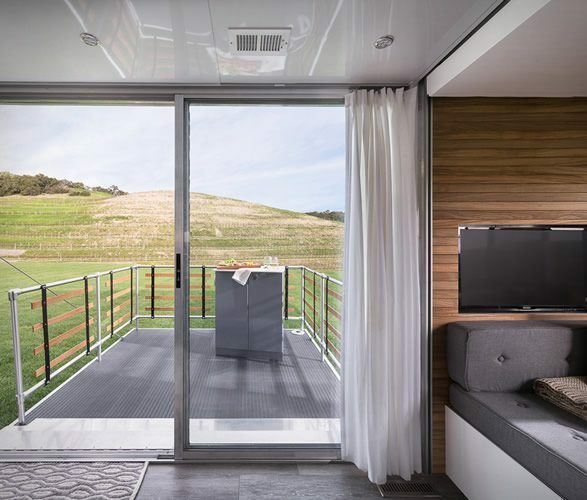 With Matthew’s architectural background and Joanna’s love of design and travel, the Living Vehicle really encompasses their lust for living an alternative lifestyle and has all of the amenities that you could possible need for comfortable and luxurious off grid living. 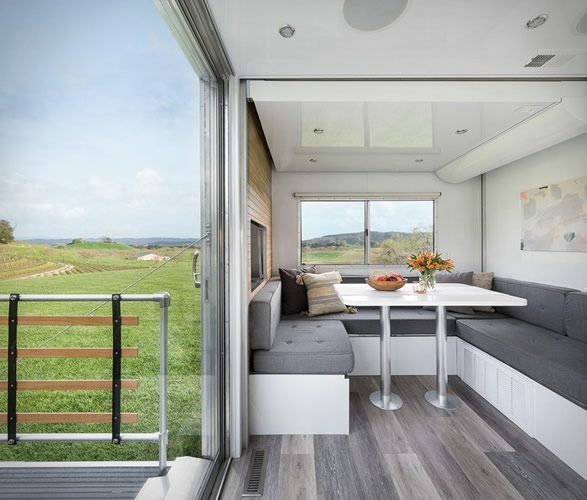 The real benefit of having a tiny home is that you can change your scenery whenever you feel like it, but if you’re one of life’s top eco campers then there’s also a strong green element to it too. 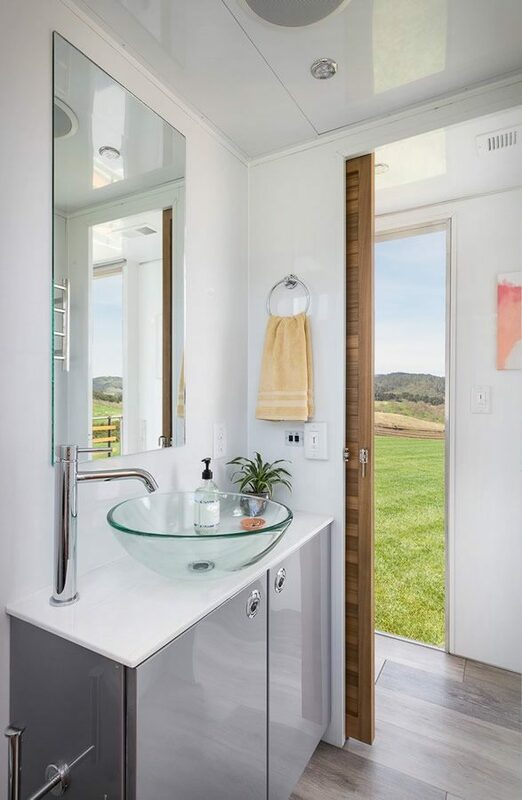 It’s all about being self sufficient and living in a space that’s kind to the environment – these things come natural to tiny house dwellers. 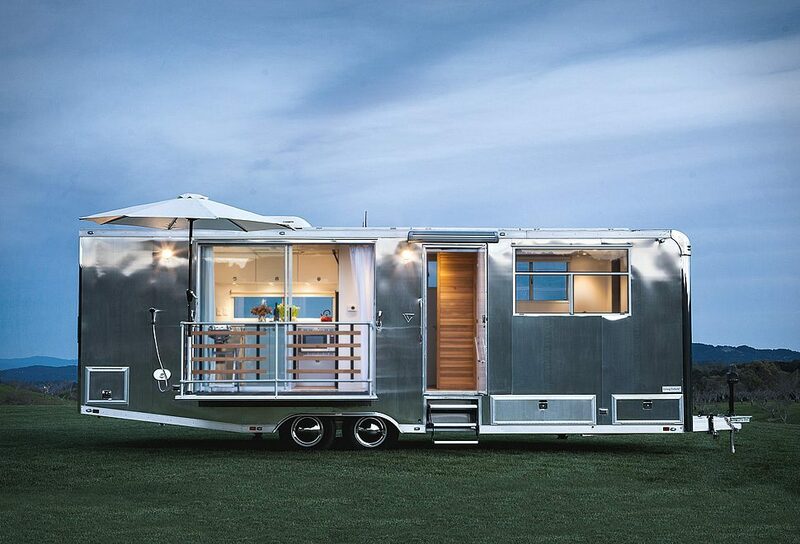 The structure of this tiny house is fully supported by a series of sturdy aluminum tubes that are strong but incredibly lightweight. The living vehicle has enough room for six people to live inside (not so tiny after all eh! ), and it’s also double glazed, making it an off grid home that can be used all year round! This Tiny House Rules! How Much Does It Cost? 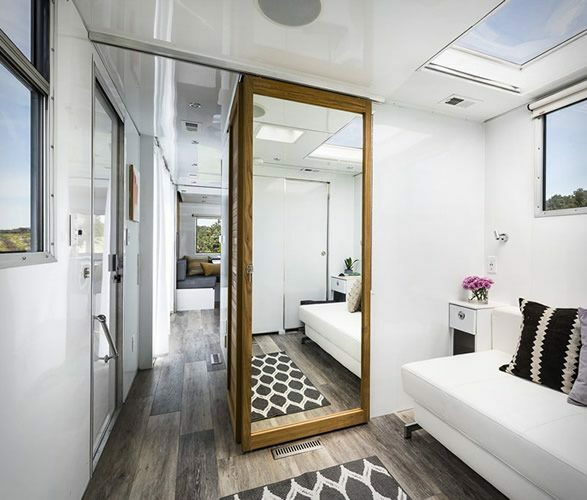 The Living Vehicle comes in at $150’000, with a whole range of other customisable extras that the Hoffman’s can work with you to implement into your new home. Don’t turn your nose up at the cost though; for the size of the build that you’re getting and the ability to ‘up sticks’ and move your house to a better location at a moments notice its actually an amazing price. 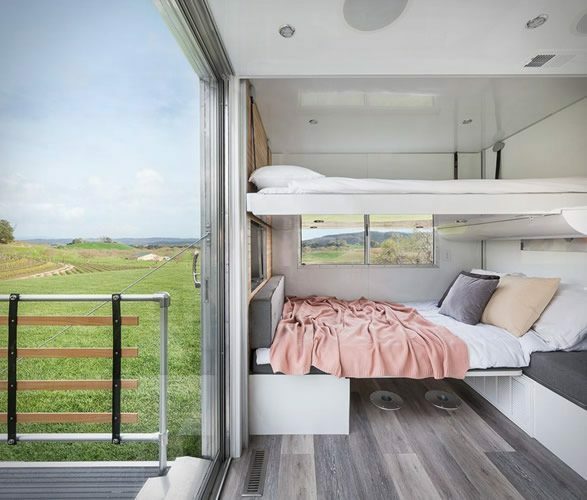 We currently live in 80 square feet in our own van, and whilst we love living the van life we could definitely see ourselves in one of these in the future. 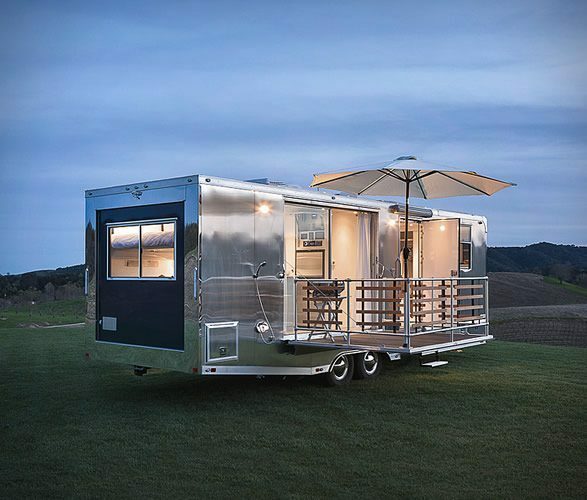 Visit the Living Vehicle website for more information on this amazing tiny house! Looking for awesome Van Life gadgets? Check out our article on the Titan Underwater Drone!